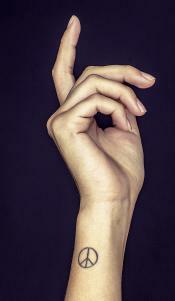 Stick and poke tattoos, or DIY (do-it-yourself) tattoos, are a unique tattoo that forgoes the tattoo gun and uses a needle and ink in its stead. While lots of different designs are available with this method, there are a few general designs that you find often as stick and poke tattoos. Before electricity, there were tattoos. This ancient art form can be traced back several thousand years in fact. However, the beginning pieces that we see were much different from the multi colored pieces that cover the nearly 50% of Americans today. This trend of simple tats or line work is still popular among the DIY crowd. You might find a stick and poke tattoo that makes a peace sign on the inner wrist or even a triangular design along the ankle. These simple line works are easy to create and add a unique flare to your skin. Another great use of this technique is creating small solid pieces. These pieces are easy to outline and fill in, and they can look great just about anywhere on the body. You might choose to have some birds soaring along your collar bone or even some flying around your ankle. 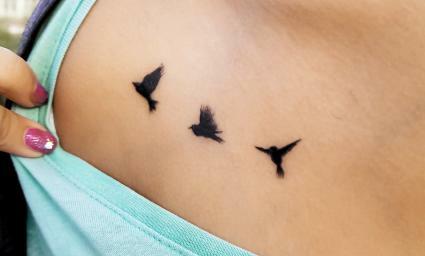 You might even choose a simple silhouette of a dove along your forearm. While it can be a bit difficult to get the solid color using the stick and poke technique, with a little practice, some great solid works are possible. 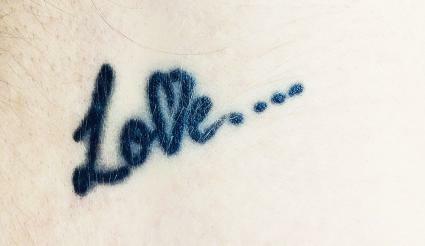 Words can convey emotions, admiration and hope, which makes them a popular tattoo trend. Fonts also offer the opportunity to customize the words more fully to express to your own personal style. Given the simplistic nature of wording and the fact that words can fit at just about any size, they are popular for stick and poke enthusiasts. You might see this type of tattoo on the ankle, wrist or even fingers. Skull tattoos are chock full of meaning. They can symbolize not only death and evil but also balance and beauty. The fact that skulls can range from a simple line work to an elaborate candy skull shows their diversity and make them work great as stick and poke tattoos. 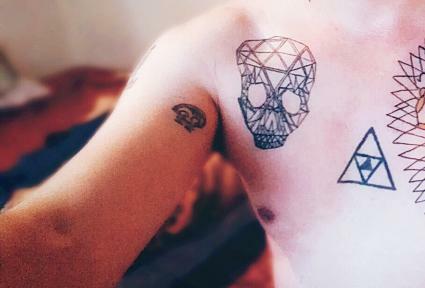 Skulls can also take advantage of the pointillist quality found in stick and poke tattoos. They have the added quality of being able to work in highly visible areas as well as more hidden spots on the skin. Symbols are a great way to utilize your stick and point style while showcasing your own unique personality. For example, you might choose to use this method to add your zodiac sign to your skin art. You might also use this for something simple like an anchor to show your love of boating or the sea. 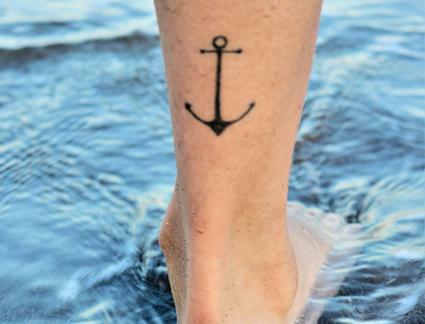 The anchor is also a great way to illustrate strength and the end of a journey. While stick and poke tats are typically simple, this is an ancient art in several cultures that has progressed to complex works of art. 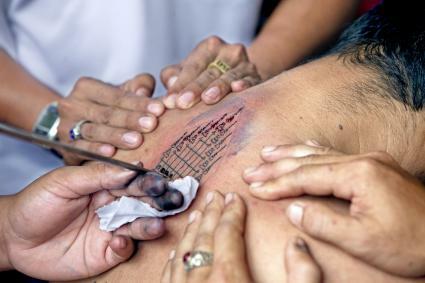 There are several Asian tribes or cultures that create full back pieces or intricate tribal work using the stick and poke method. Pointillism is typically used to create impressive depth and movement within the work. 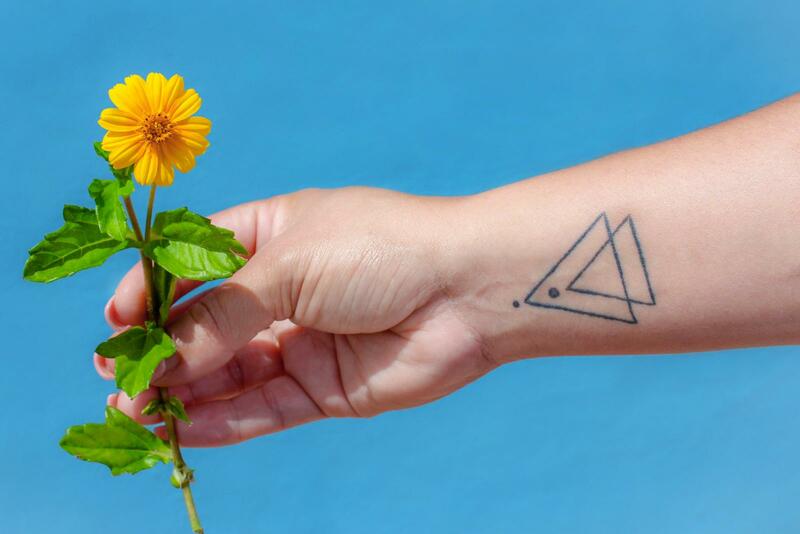 While stick and poke might seem like a simplistic style of tattoo art, there are several intricate designs that really shine. Small tattoo designs with skulls, symbols, words, and line pieces are common. However, there are several large and intricate pieces to be found in this style too. Find or create the artwork that you really can't live without and think about giving stick and poke a try.